A low-sodium diet requires a daily consumption of 2,000 milligrams or less, according to the experts at the Cleveland Clinic. That's easier said than done, however, as many foods have added salt, making it difficult to adhere to the guidelines. Building a repertoire of low-sodium recipes is the best way to learn to cook without a lot of salt. Each of the following low-sodium recipes serves one person and are an easy way to get started. Breakfast is an important meal because it gets your day started off on the right foot. Many traditional breakfast foods, such as bacon or sausage, are high in sodium, so the morning meal can be hard to navigate. Check out these delicious, easy and healthy choices. This recipe is perfect for a cold winter morning, but it will fill you up with very little sodium any day of the week. The cinnamon adds flavor while the apples lend the dish a touch of natural sweetness. You can mix this is up by adding a touch of brown sugar, nutmeg or buttermilk as well. With under 200 milligrams of sodium, this is the ideal morning recipe to add to your low-sodium diet. Bring the water to a boil. Add the oats and stir occasionally until cooked, about 5 minutes. Stir in a splash or two of milk, the apples and the cinnamon. 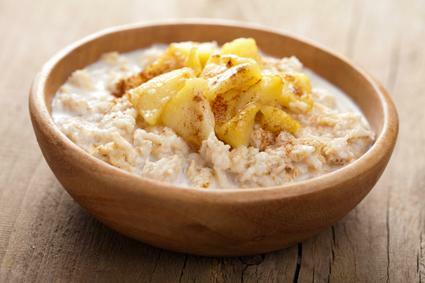 Stir the oatmeal well to combine the flavors. A smoothie is an easy breakfast when you're on the go, but it's perfect for a lazy morning too. The fruit offers much in the way of nutrition, without overloading you on sodium. 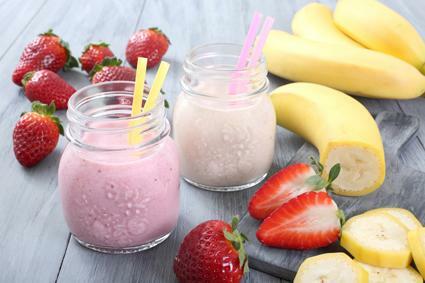 Mix and match your favorite fruits by substituting those in this recipe to make new and exciting smoothies every morning. This recipe ends up containing about 150 milligrams of sodium, which may vary slightly depending on what types of fruit you choose. Place all the ingredients in a blender and process until smooth. Add a bit more milk, if needed. Enjoy your smoothie with a hard-boiled egg to get your morning going with a healthy dose of protein. While it's true that skipping lunch might temporarily save you some salt milligrams, forgoing meals only sets you up for binge eating later in the day. If your snack of choice is potato chips, pretzels or something similar, you may wind up consuming far more salt in the form of snacks than you would by enjoying a healthy and low-sodium lunch. Try these recipes to keep you on track. You don't have to sacrifice flavor to keep your sodium intake in check. This recipe makes a great substitution for a lunch meat sandwich because it's loaded with fresh ingredients, but it's also low in salt. 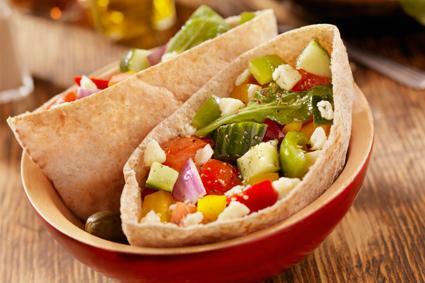 At just over 300 milligrams of sodium, this pita sandwich is easy to balance with your daily intake recommendations. Combine the yogurt and mint in a small bowl and set aside. Spread the hummus inside the pita, then insert the lettuce leaf. Fill the lettuce with the carrots, cucumber and rice. Add a squirt of fresh lemon juice, to taste. Drizzle the yogurt mixture over the top of the pita just before serving. Take-out is loaded with sodium, but you can often recreate your favorite meals right at home. At just over 400 milligrams of sodium per serving, this tasty lunch is easy to fit in with your daily goals. In a small bowl, mash the black beans with the cream cheese. Gently stir in the chopped green chilies. Spread the mixture on the tortilla and top with the lettuce, tomato and avocado. 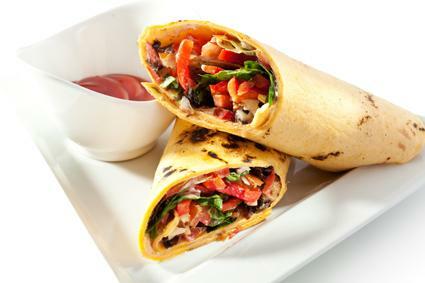 Roll the burrito and serve with a piece of fresh fruit. If you go easy on the sodium during the day by avoiding processed meats on your sandwich and skipping canned soup or macaroni and cheese, you'll have a bit of wiggle room at dinner time, which allows you to enjoy decadent meals without overdoing it. Try these recipes for flavor-packed meals that aren't full of salt. This is a great recipe for leftovers. It tastes good cold, so you can double or triple the recipe and have lunch the next day too. The intense flavor of the balsamic vinegar and the basil leaves give you a meal that tastes great without all the salt. At under 300 milligrams, this is a splurge you can definitely afford. 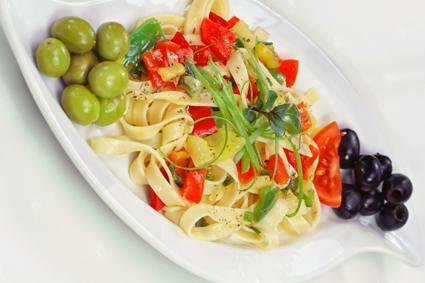 Combine the chicken, pasta, olives and vegetables in a small bowl. Gently stir in the mozzarella cheese and the balsamic vinegar. Sprinkle with fresh basil leaves just before serving. Serve with a mixed green salad or a piece of fruit. This soup is creamy and tastes like something you get in a restaurant, but it contains only a moderate amount of sodium. It tastes great with fruit salad or a tossed vegetable salad. It's also a great recipe if you like to take leftovers for your lunch the next day. 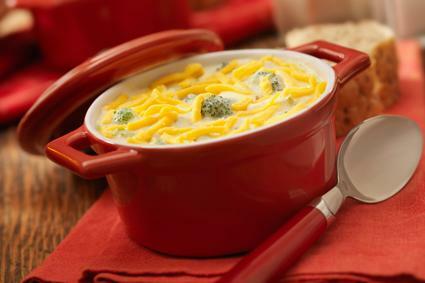 Weighing in at under 500 milligrams of sodium, this soup is easy to add to your favorites. Place the potatoes and celery in a small soup pot and cover with water. Bring to a boil over high heat and continue boiling until the potatoes and celery are soft, about 10 minutes. Drain the soup and return the vegetables to the pot. Add the milk, the butter and the cheese and stir until melted and well-combined. Add the broccoli just before serving. Cutting back on salt is not always easy, but cooking your own meals at home gives you a lot more control over how much you consume each day. It's important to read labels when you shop so you can monitor how much salt is in your typical recipes and where you can cut back. Fortunately, a low-sodium diet doesn't mean you are doomed to a lifetime of eating bland and boring food. Experiment with spices and herbs to give your meals flavor. If you do wind up overdoing it one day, simply get back on track the next day. With time, low-sodium cooking will come naturally.